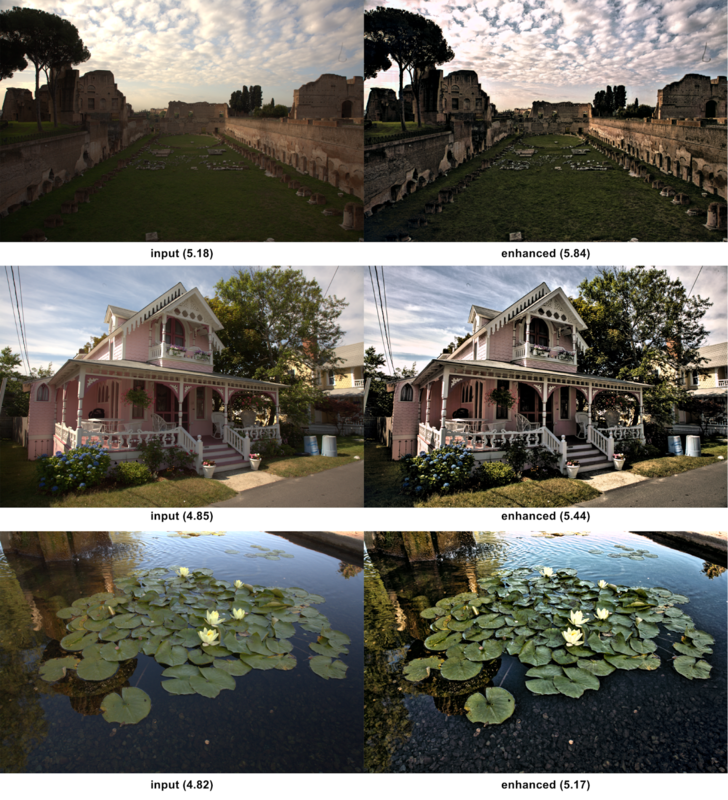 Various functions of the NIMA vector score (such as the mean) can then be used to rank photos aesthetically. 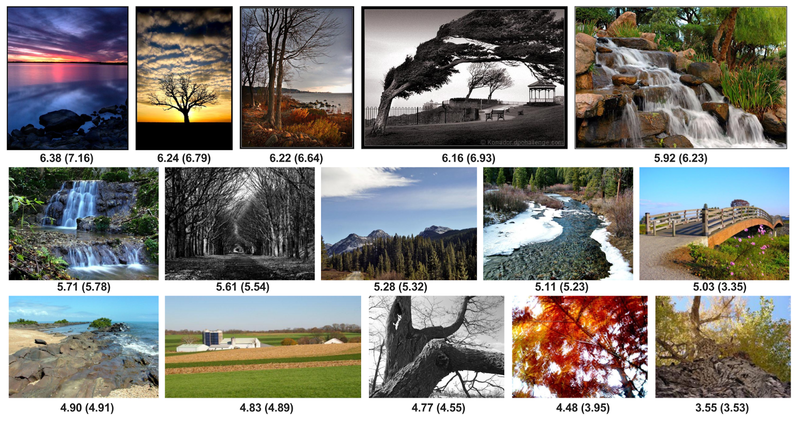 Some test photos from the large-scale database for Aesthetic Visual Analysis (AVA) dataset as ranked by NIMA, along with predicted NIMA scores, are shown below. Each AVA photo is scored by an average of 200 people in response to photography contests. As can be seen, after training, the aesthetic ranking of these photos by NIMA closely matches the mean scores given by human raters. We find that NIMA performs equally well on other datasets, with predicted quality scores close to human ratings. Ranking some examples labelled with “landscape” tag from AVA dataset using NIMA. Predicted NIMA (and ground truth) scores are shown below each image.